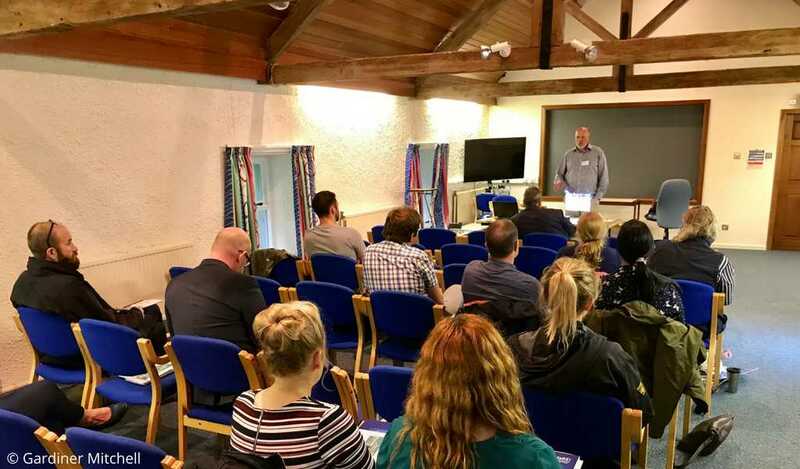 Tim O’Higgins, a research fellow at University College Cork (UCC) and case study lead, informed participants at the meeting on 1 August about the results of the efforts to model the interactions between human activities, the Lough ecosystem and its ecology. Dr O’Higgins and fellow researchers used stakeholder inputs from a previous meeting to develop a mathematical model or ‘fuzzy cognitive map’ of the Lough incorporating stakeholders’ views on the various activities and pressures affecting the Lough, and how these ecological and socio-economic components interact. The activities putting pressure on the Lough include agriculture, hydroelectricity development, urbanisation and recreational uses including boating and fishing. These activities have in some part collectively contributed to effects such as eutrophication, loss of fish passage and the introduction of non-native species. For example, the lake contains a strong population of zebra mussels, a mollusc originating from southern Russia and Ukraine. This invasive species may have been transported into the Lough by a number of possible vectors including wildlife, illegal introduction, downstream passage from other catchments or from recreation, boating or angling activities. The species may for example have attached themselves to the hull of boats or equipment used for recreation or trade or been transported accidentally in ballast water. The mussel consumes phytoplankton and filters suspended solids, leading to changes in the clarity of the water and a decrease in algal biomass. After Dr O’Higgins presented the different components of the case study research, the stakeholder conference focused on the potential management solutions for Nuttall’s pondweed. Based on the results of the analysis, Dr O’Higgins proposed, as an experimental pilot study, to raise the water level of the lake in order to see if this would inhibit the growth of the plant and also to allow recreational use of the lake to occur over the top of the invasive pondweed. Such a proposal would first require detailed consultation with the statutory stakeholders, potentially affected landowners and the public. Some stakeholders, such as Eamon Horgan from Waterways Ireland, welcomed the suggested pilot intervention as it could contribute to controlling the spread of the weed. Mr Horgan suggested that raising the water levels could potentially inhibit the growth of the weed as it would receive less light due to the deeper water levels. 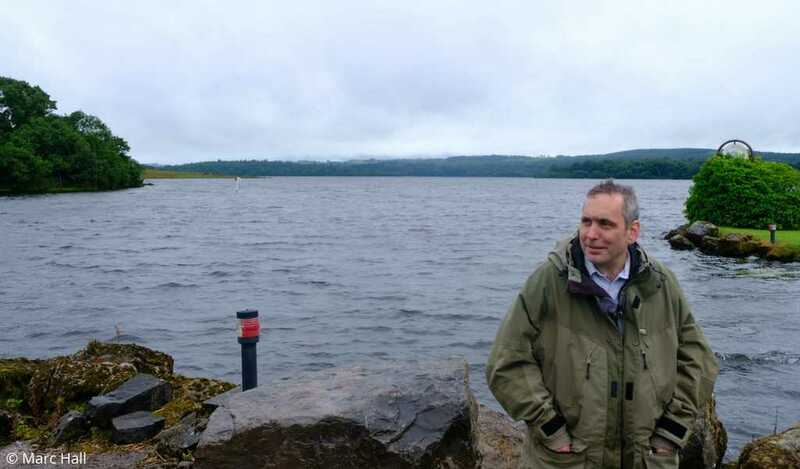 However, Keith Cullen, an official from the Fermanagh and Omagh local council, expressed concern that raising the water levels may encourage the weed to grow further in order to reach the surface. The growth pattern of Nuttall’s pondweed is such that much of its biomass is located at the surface rather that throughout the water column like many other aquatic plants. Whether the proposed raising of the summer water levels to 1.2 meters would be sufficiently deep enough to inhibit the plants’ growth would require further investigation. The proposed plan has the potential to result in additional flooding in some parts of the Lough. Dr O’Higgins mapped where such flooding would be likely to occur and who would likely be affected, as well as the costs to local farmers. Farmers are a key group who would be affected as they would likely lose a portion of their land for grazing and harvesting during the summer months. Dr O’Higgins identified that the Irish Electricity Supply Board (ESB) may benefit because increased lake levels could result in increased electrical production. He suggested that a portion of these benefits could be used to compensate farmers for their losses. However, one speaker argued that increasing the water levels can increase the risk of flooding to local roads as well as inland waterways infrastructure, particularly towards the end of summer, when heavy rain becomes more common. If there was a risk of flooding, the ESB may then be required to release water, without using it to generate power, affecting the potential financial benefits of raising the water level. One speaker then also raised the idea of moving the period for raising the levels of the Lough to earlier in the year, mitigating this risk. A participant also raised the point during the discussion that the impacts of higher summer water levels on conservation objectives for Lough Erne as a Special Protection Area and Special Area of Conservation (for example, on breeding waders) would have to be fully assessed. The proposed pilot study would also have to undergo a Habitat Regulations Assessment (HRA) and approval from the Northern Ireland Environment Agency before it could be implemented. The meeting ended without a firm decision on whether to bring forward the plan to a more detailed consultation stage and possible future implementation; however, discussions will continue over ways to deal with the invasive species in the Lough. Any decision to manage the levels of the Lough will require formal discussion between the responsible parties, the ESB and the Northern Ireland Rivers Agency as well as other stakeholders including farming groups. Kerry Anderson, an official from the Northern Irish government Department for Environment, Agriculture and Rural Affairs, appreciated the work that has gone into the research, which has provided economic costings for the proposed management measures and contributed to demonstrating the potential economic value of ecosystem-based management. He spoke of the value of such EU-funded projects, which bring various stakeholders together to discuss environmental and socio-economic concerns with the aim of developing mutually beneficial solutions.